Caerleon Roman Fortress Barracks foundation walls. It is fascinating to walk around these old Roman Barracks and picture the little rooms which would have housed up to 5,000 troops (I vaguely recall reading it was 6 soliders to a room but I may be mistaken). The huge amphitheatre opposite is testimony to the size of this once major Roman Camp. Dogs can run around and explore as well, so this is a dog friendly outing. There is also the indoor museum which you should visit as well, especially on a rainy day. 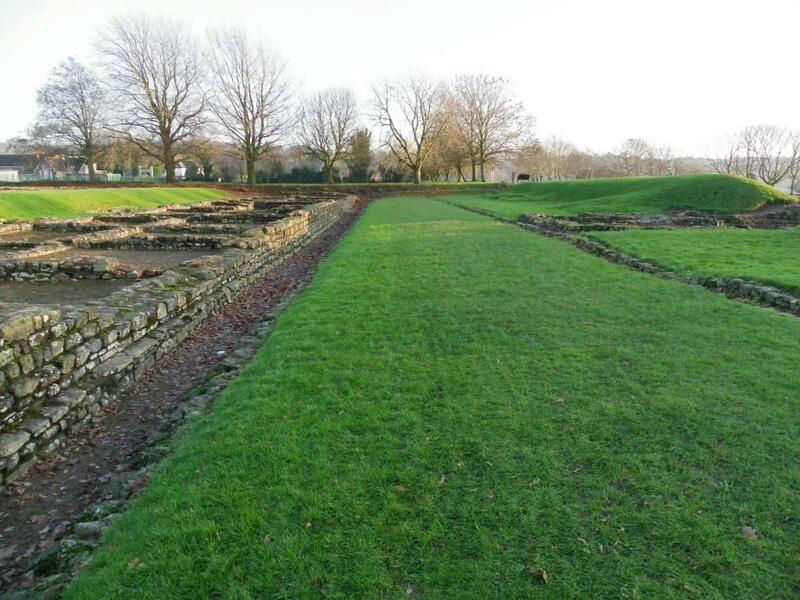 You might be more inclined to spend time in the amphitheatre and miss out the Barracks foundations, but this area is just as interestnig as you picture the individual barracks as they would have been. This is only a small section of what there was originally.